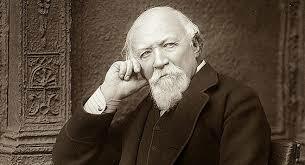 Robert Browning is one of the most popular poets of the 19th century and A Lover’s Quarrel is one of his long poems. The poem describes a romantic relationship between two lovers and talks about the various parts of such a relationship. Through the poem, he discusses the nature of a relationship that two people have when they are in love with each other. A work that defines the elegance of the pen of Browning, A Lover’s Quarrel talks about the ups and downs of a romantic relationship in the form of a monologue. The poem begins with descriptions of a relationship in which the man has been left by the woman. The reason for the same is not clear but it is certain that the two lovers are not having a good time. They are probably separated by a distance and the speaker of the poem is remembering the way he feels when he is close to his lover. Browning starts the poem by saying that the day is beautiful and warm but his lover is not with him. He talks about the various things that are going well around him in the world and later on expresses sadness. The reason for this sadness is that the lover of the speaker must have enjoyed all of this with him. But as she is far away, all the beautiful things bring him sadness. In the next part of the poem, Browning tells that he and his lover have been separated from each other for a period of three months now. The time that they had spent together was during the winter season but they have enjoyed it like a glorious summer day. He tells that when he is with his lover, there is not much reason they need to laugh around. It expresses his happiness when he is with his lover. He tells that in the company of his lover, he is able to find pleasure in the most trivial of things, like enjoying a game made up by straws. Towards the end of the poem, he grieves about the sad nature of the world around him which is because his lover is not near him. He remembers that he and his lover were living happily together and enjoying the little things that life was offering them. But, one day they had a quarrel and they both spoke hurtful things to each other. This made the lover leave him and since then, he is pining for her. However, much like many other poems of Browning, this one also ends on a positive note. By the end, he starts to think of a time when the world will be a different place and the lovers had lived their lives. He claims that at that time, he will be united with his lover again and they will be together forever- laughing, fighting but never leaving each other. A Lover’s Quarrel is not considered the finest poems of Browning and nor is it among the most popular ones. However, the unique simplicity of expression and naivete of thought that he has achieved in this work is rarely paralleled by any other poet, or even by Browning in any other of his works. The poem may not have a deeper connotation but its expression of a romance is praiseworthy. Browning has made sure to include all the emotions of the relationship of the lovers in this poem. For this purpose, he has made use of a twisted timeline. This has, however, been carefully chosen and has perfectly highlighted the various parts of the relationship that the lovers had. To facilitate his purpose, Browning has used a number of similes and metaphors throughout the poem. He compares the time that he has spent with his lover to spring and the lover herself to the call of a hermit. Through such comparisons, he makes a very clear point that his relationship with his lover is satisfying and relaxing. The seasons also are a major theme in the poem and play a substantial role in describing the mood and ideas of the poet. When the lovers were together, it was winter. However, the company of the lover made it feel like spring. Now, the spring has arrived with a summer to follow but it is not as comforting for the poet as the winter was. He anxiously waits for the winter to come back again, hoping that his lover would return. The poem ends at a note of hope, much like the majority of the poetry of Browning. He accepts that the problems that he is facing with his lover are all a part of the relationship they have. He does not regret the quarrel that they had and only claims that they will be together again forever.